Recently Rush Limbaugh gave a speech at the Conservative Political Action Conference (CPAC). If you would like to watch or read the speech you can go here. In typical Rush fashion, he gave a speech that thrilled some people and infuriated others. Anyone looking for a good explanation of what conservatism is, this speech is for you. It ties right into Maker’s post on the definition of conservatism. There are a few points I would like to make about the speech itself, but more importantly I would like to focus on the reaction to the speech. If you pay attention to any media source (mainstream or alternative) you have probably heard several different criticisms of the speech. 1. From the Left: Outrage over Rush saying that he wants Obama to fail. The Left seems to be mischaracterizing this as wanting America to fail. There are two problems with this: One, you assume that Obama wants America to succeed. Does he truly want America to succeed? His policies and actions leave me unconvinced (this could be a whole article by itself). I think Obama realizes that the only way he is going to advance his causes in socialized healthcare, enviro-fascism and a massive government state is to create this crisis. He will then use the crisis to move America to a place that it would not normally agree to. This is exactly what Rham Emmanuel (Obama’s chief of staff) meant when he said “You never want a serious crisis to go to waste.” Two, you assume that the policies will actually work. Well, guess what…they won’t. None of these policies he is implementing have ever worked. None of them ever will. They are based on bad economic theory and fallacious arguments. Also, can you imagine if Bush had attempted a similar political slight of hand by campaigning against a private citizen? 2. From the Right: Criticisms over Rush’s principles over policy. Rush said that we don’t really need better policies right now. Several Conservative media outlets like National Review disagreed with Rush on his point. Their arguments consisted primarily of “we need to offer good alternatives to Obama’s plan…we can’t just be a party of ‘No. '” I think that what Rush was getting at was that there is a large contingent of “conservatives” who don’t understand or articulate the conservative message. These people are merely trying to get a tiny amendment here or there that slightly scales back Obama’s plan. We need people out there who understand our principles first. Good policy will spawn from that. 3. Also, from the Right: Criticisms over Conservatism in general. These are the people who are saying that we need to modernize conservatism. We need to change its principles in order to succeed. Ladies and gentlemen, have we not already tried this? Isn’t that what Bush did? He was a so called “compassionate conservative” and look where that got us. 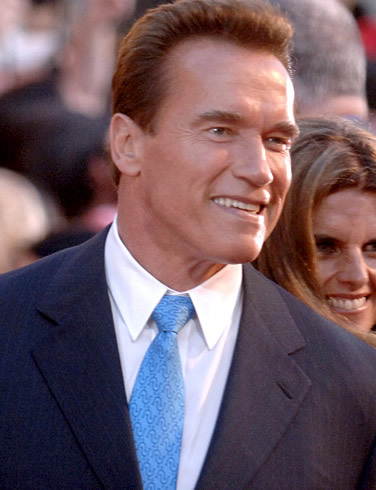 Wasn’t Schwarzenegger a modern conservative? Look what that has done to California. The most economically successful state in the US is on the verge of bankruptcy. This is what compromising conservative principles does. Part of the trouble the party is in is due to people labeling people like Bush and Schwarzenegger as conservatives. They aren’t. We need to articulate the conservative message. We need to show America why it is critical to keep conservative principles alive. This is why we have started this site and why we will share this message with anyone who will listen.